Southpark Commerce Center in Austin. AUSTIN – Ridge, the industrial development arm of Transwestern Development, has broken ground on a 350,000-SF speculative industrial project in southeast Austin. The three building complex, slated to be complete in late 2017, will be located near Interstate 35 and State Highway 71 in the Southpark Commerce Center. 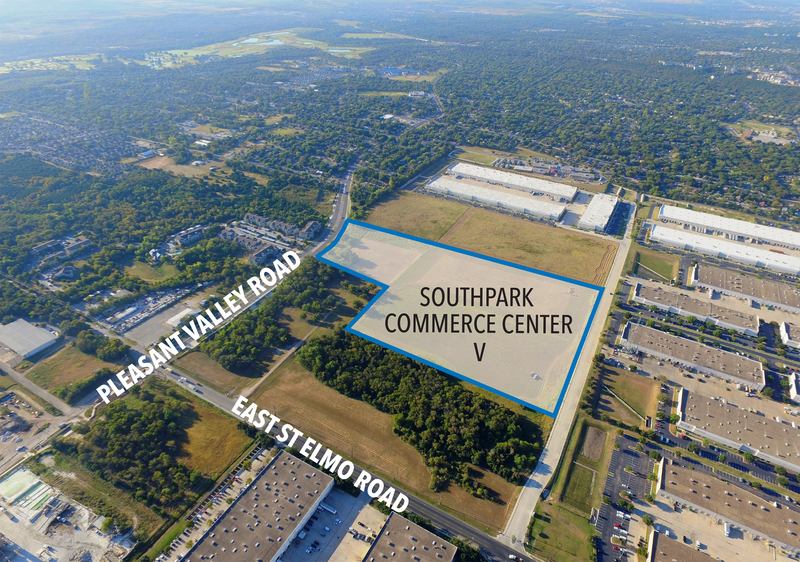 Southpark Commerce Center, located four miles from downtown Austin and 75 miles from San Antonio, will have 2.3 million SF of space upon completion. Ty Puckett and Josh Delk with Transwestern Development Co. led the development of the existing 1.6 million SF at the park, which was formerly the Barkley Family Farm. Notable tenants include AT&T, Life Technologies Corp., Medline Industries, National Circuit Assembly, Sleep Experts and the Travis Association for the Blind, which has acquired the only remaining site at the park for a 350,000-SF, owner-occupied facility.